We told you yesterday....that we gearing up for exciting news in the world of fashion & style!!! And true to our word, we have fantastic news for all fashion aficionados. 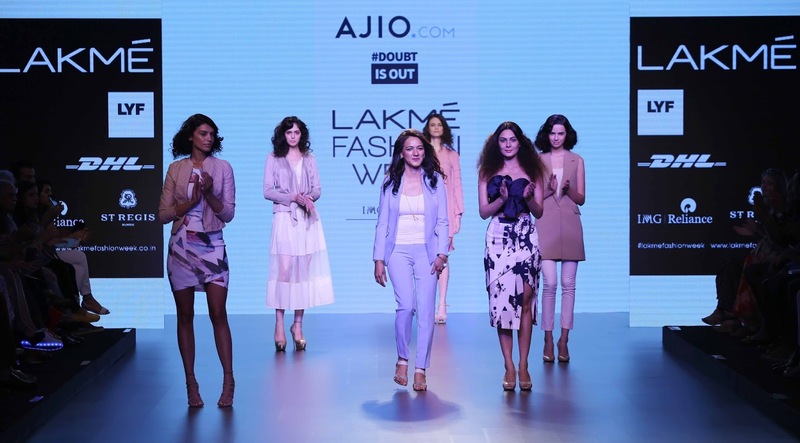 Reliance retail, an arm of Mukesh Ambani’s Reliance Industries unveiled a brand new online fashion and style destination- ajio.com that offers a differentiated experience & delivers tremendous choice to the consumer. 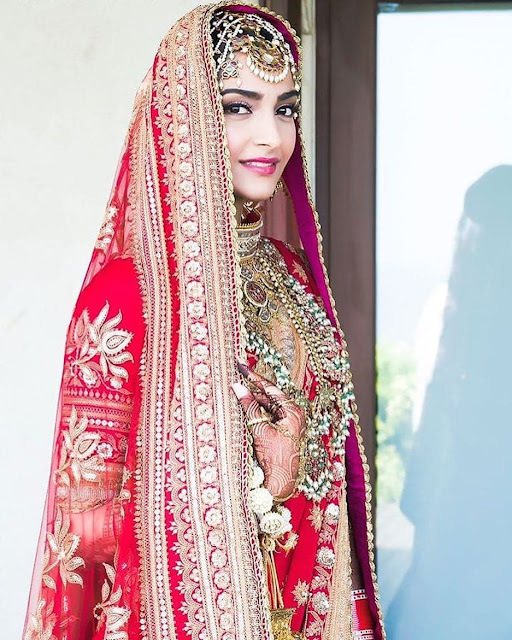 A significant initiative from house of Reliance, this fabulous online store that features a collection boasting of 200 international & national brands was unveiled with a preview at the country’s leading fashion event, Lakme Fashion Week Summer / Resort 2016....and we witnessed the show last evening that was graced by Ms. Isha Ambani, director on board Reliance Retail and loads of celebrities. 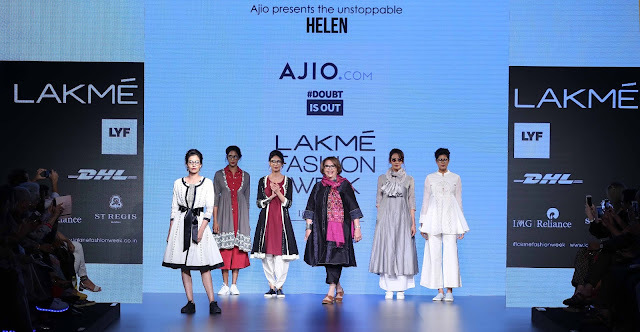 AJIO (ajio.com – pronounced ‘aa-jio’) showcased its curated styles & ensembles with high fashion quotient to a full house with the #DoubtIsOut show. The show was divided into various genres & each genre had a show stopper that epitomized the #DoubtIsOut movement. Very cool...we thought. The lights dimmed and the show started to encouraging claps & one by one models walked the runway in fabulously designed western wear- jackets & coats with smart cuts, playful jumpsuits, colorful leggings, fitted denims, dresses & blazers. We also saw trendy monochromes, soothing pastels, bold colors, chic fusion wear & gorgeous ethnic wear. The original queen of cabaret-Helen walked the ramp, representing the genre‘Age no bar’ to look stylish and received a thunderous applause. The daring, uninhibited & honest Sunny Leone sashayed down to say ‘Choice no bar’. The affable & bubbly Bharti Singh, known for her stand-up comedy acts walked the ramp effortlessly depicting ‘Size no bar’....and we all loved it!!! 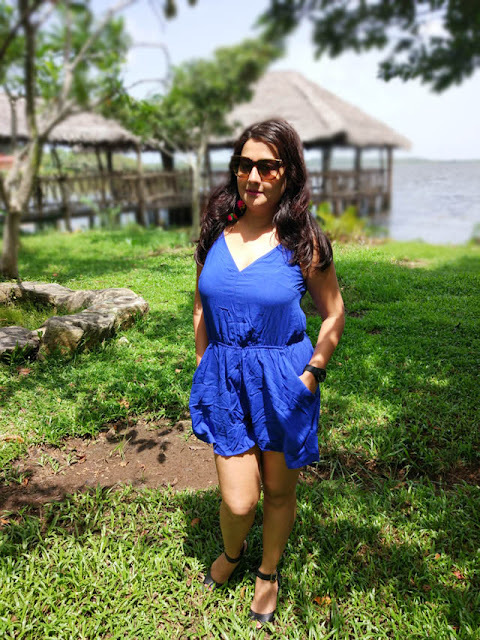 The first Indian woman to fly an MIG fighter jet, Suman Sharma, walked the ramp for ‘Career no bar’- how apt, we thought!!!! Wrapping up the show was Laxmi Narayan Tripathi- the transgender activist, expressing the thought that no matter how you are born, ‘Gender no bar’ for achieving your dreams. The innovative concept of ‘Shop-able Runway’ presented at the show was a big hit for us. On clicking the link, www.bit.ly/ajio_LFW, users could directly reach the shopping section for the specific outfits on AJIO’s website....Offering an instant shopping option to audiences for the outfits showcased on the ramp. The show was also streamed live in order to reach out to fashionistas across the country. After the show, when we browsed through the e-com portal www.ajio.com. we found that the site had a user friendly interface, easy navigation and beautiful merchandise. Just like the show that was graced by unconventional show stoppers,,AJIO’s collection believes in challenging & breaking stereotypes. How often we dream of wearing runway fashion but are unsure of how it will look on our body types? 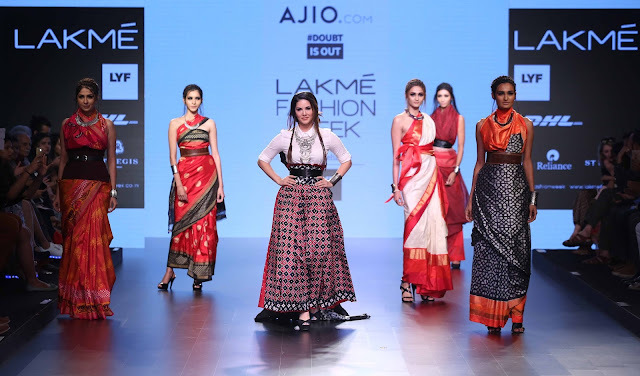 With an aim to cater to fashion lovers and trendsetters the varied merchandise on AJIO’s site is a symphony of over 200 national & international designers & also includes hand-picked Capsule Collections and the artisan-crafted Indie Picks. 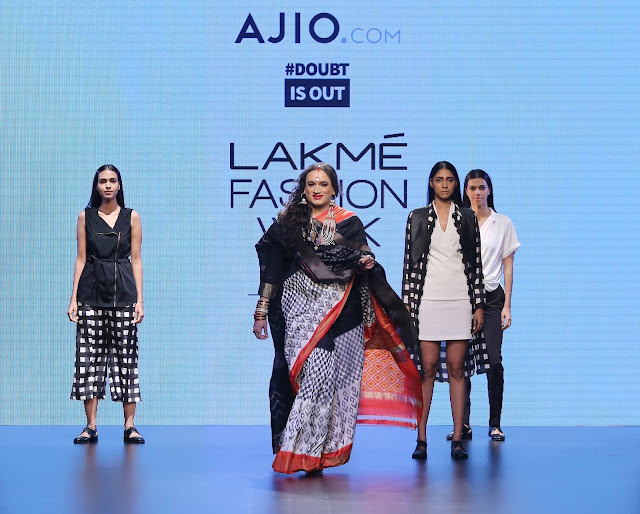 AJIO’s Indie collection that features original works by artisans and boutiques from across India and the world, on a single platform. Pick your choice from a fabulous range of apparels, lingerie, shoes, accessories, and jewelry. AJIO will leverage Reliance’s strong sourcing, supply chain and retail operations capabilities to differentiate in the market & will also gain from Jio’s digital ecosystem.